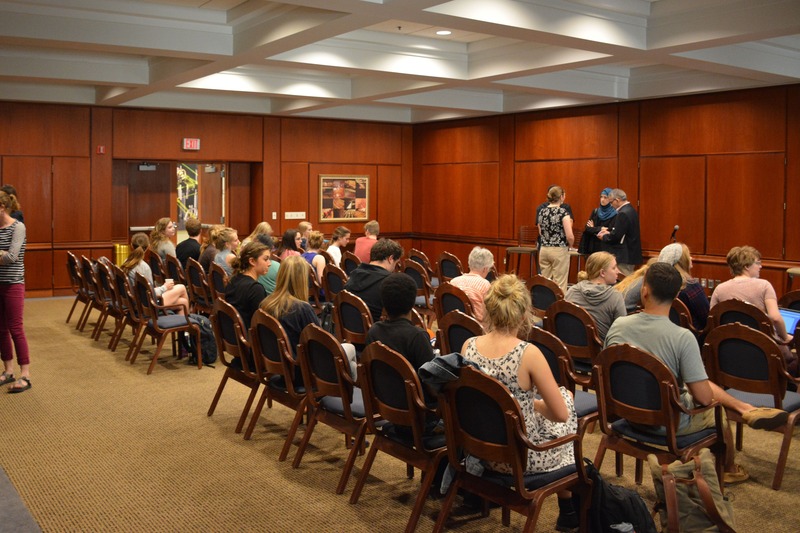 April 19, 2016 | 3 p.m.
About 50 students and employees attended “Responding to Islamophobia,” an event organized by the newly formed Better Together student group. About 50 Bethel students attended “Responding to Islamophobia,” an event organized by the newly formed Better Together student group on campus, on April 14. Three Muslims were invited to campus to share their stories and discuss their experiences as Muslims living in the Twin Cities. Janna Burger '17, a nursing major from Iowa, leads the Better Together club and helped to organize the event. “We decided to host an event on ‘Responding to Islamophobia’ because we have many Muslim brothers and sisters in the Twin Cities, but few represented in the Bethel community,” explains Burger. The students have seen a fear of Islam rising in our country, and they see interfaith—or people from different faith backgrounds interacting together around a common goal—“as a way to educate students on how Islamophobia is negatively affecting our Muslim neighbors in our city and to break apart stereotypes due to fear or inaccurate information regarding Islam,” Burger adds. Burger explained that the intent of the evening was not to debate religion, but rather to listen to others’ stories and challenge students to think about how to respond to Islamophobia in a Christ-like manner. “We were very grateful to our panelist speakers for being willing to come and share their stories with us,” she adds. The speakers were invited to campus by Amy Poppinga, who teaches in history and specializes in the history of Islamic communities, and Tanden Brekke, who engages in interfaith dialogue through his role as assistant director of community engagement and service learning at Bethel. Poppinga and Brekke also served as moderators for the event. 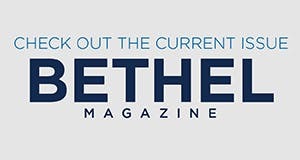 The Better Together student group next plans to participate in a Twin Cities event called “We are One Minnesota.” The event is sponsored by a number of state and local leaders from public and private sectors, including Bethel, and will take place from 1-3 p.m. on Sunday, April 24, at the Saint Paul RiverCentre, 175 W Kellogg Blvd, St. Paul, 55102. There will be speakers, food, music, and spoken-word performances from many countries and cultures.